Here are several photo galleries that will provide you with a idea of what it is like to get married at a waterfall. 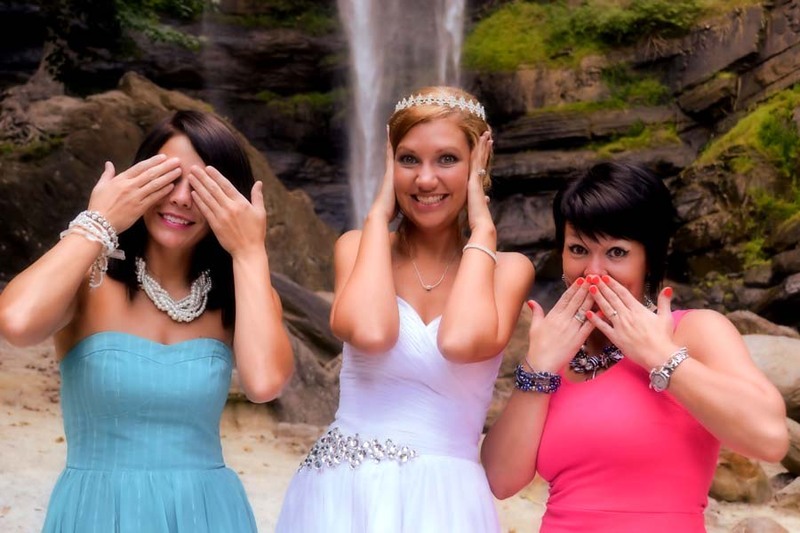 Your photos of waterfall weddings will be the envy of all your friends! Click the image above to see Spectacular Waterfall Wedding images. Waterfall Weddings make for Romantic Wedding Photos! Click the image above to see Waterfall Wedding couples having FUN at their wedding! All photos here were taken by Waterfall Wedding Experts owners, Cyndi & Delaney Durham.